From consultation, to manufacture, to installation, Bifold Zone are the specialists to turn to for completely personalised doors and windows. We can custom-build your pieces to make your vision a reality. Enjoy the sunshine and the breeze throughout the year with our elegant solutions for sophisticated alfresco living. Bifold Zone can help transform your home and your lifestyle with our custom designs. Whether it’s domestic or commercial, give your project a uniquely crafted finish. We can help you create sophisticated, designer-style spaces for your home or business, adding both beauty and value to your property. 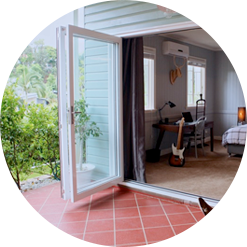 Bifold Zone are your Brisbane Bifold Door Specialists. 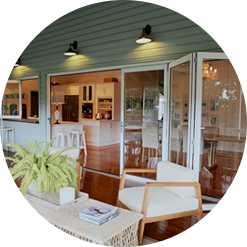 We are a one-stop shop for your door, window and retractable insect screen needs. 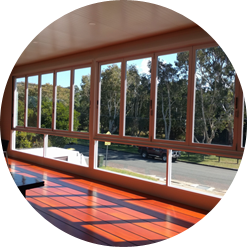 At Bifold Zone, we design, manufacture, and install aluminium and timber bifold doors, stacker doors, pivot, and louvre doors and windows, that are completely customised for your residential or commercial project. We came into being to meet the demand in the construction industry for specialised door and window installation—and that’s where we’ve been for 30 years. 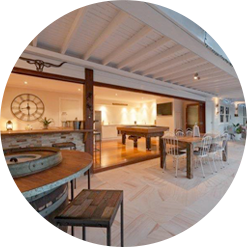 We fabricate our aluminium and timber joinery to deliver unique, innovative and visually striking products. If you’re looking for beautiful, bespoke finishes to bring out the life in your open space or renovation project, we can help. Whether it’s a domestic renovation, a high-end architectural design, or a commercial shopfront, we’ve got completely customised turnkey solutions for your door and window installation. Because we’re a smaller, local business, we’re flexible and innovative. We have a strong reputation built on finding the perfect solutions and delivering exactly what our customers are after—and we deliver them with the personable service you’d expect from a local retailer. Joe and his team were great to deal with from start to finish from the quote stage through to the installation of my bifold doors (which look great)! Joe and his team were always professional and friendly and I would recommend them highly. Joe and the team at Bi-Fold Zone are a fantastic company. 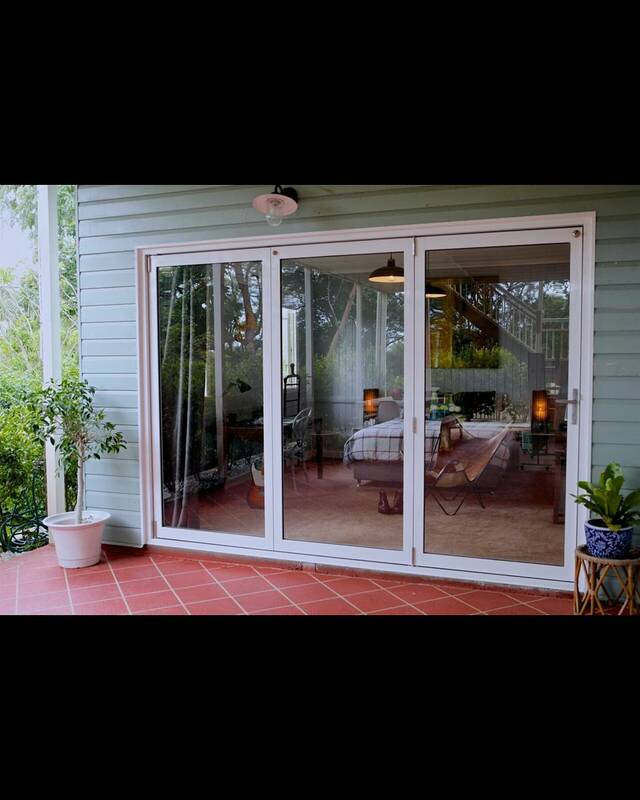 I just recently had my new 4m black metal bifold doors installed and they look great! !